An awesome day trekking from Gokyo to Phortse today. We deliberately set off early and were rewarded not only with amazing views and a quiet trail but also crisp snow which made for easy progress underfoot. We followed the main route down towards Machermo and then crossed to the East side of the valley where it becomes a much quieter and less trod route. Having said that we saw a total of 12 trekkers throughout the day – the busiest I’ve ever known it! The route meanders in and out of valleys and up and over shoulders so, despite dropping about 600m elevation, it is still a full on day. We’ve met up with John (aka my Dad) again, who trekked here from Machermo, and we have all just had some hot orange and enjoyed some doughnuts that we’re very kindly given to me by my friends at Gokyo as I left this morning. We are now poised to venture around the corner to Pangboche tomorrow where we will join the main Khumbu trail for a few days. After a rest at Dingboche we will spend 3 nights under canvas going up and over the Kongma La before dropping down to Lobuche and thence on to EBC where we will arrive on the 18th April. It sounds like the route through The Khumbu Icefall has been fixed all the way to C2 which is great news. The fact that we are out of the way for the time being is no bad thing so that our Sirdar, Kame, and the Climbing Sherpas can concentrate on the business of getting logistics sorted on the hill. Very much looking forward to working with the guys again and introducing them to my trusty group. I’m sat in a teahouse at Lungde, the last settlement before the Renjo La. We’re at 4,350m, it’s a long way from anywhere and there’s snow gently falling outside. I’m sat here with 3 guys who are hoping that, with my guidance, mentoring and leadership, they will be able to summit Mount Everest sometime in May. There’s a lot they need to do for themselves but it’s only with my top tips, handy hints, advice and putting everything in to context that they can envisage what it will actually be like high on the mountain. How can people prepare for something like this when it’s their first attempt? Yes they all have previous expeditions and mountaineering forays under their collective belts, but none of them have even been close to being this high before. The enormity of the task lies heavily on my conscience because if I fail in my task of providing them with any aspect of the expedition they may fail. Or worse. 8 days ago we flew to Lukla and arrived late (around 11:30), but we were still on the first flight. For the past few days there had been many interruptions to international flights coming in and out of Kathmandu and flights to Lukla had been infrequent. We had boarded the bus and sat on the vehicle tantalisingly close to the aircraft for half an hour or so before we’d been taken back to the departures terminal where we waited again, munching biscuits and drinking tea having forsaken an early breakfast back at the hotel to allow for another half an hour in bed. We’d been collected at 05:15 and the guys from Himalayan Guides, as usual, had made the transit through to the departures lounge as efficient as can be expected. Later, whilst waiting for our first call, my agent (the legendary Iswari) had shown me the webcam app he had for Lukla and it didn’t look entirely promising. Kathmandu was bright and crisp following the rain from the previous afternoon which had cleared the haze, but Lukla was looking cloudy. So we waited. When we were called for the bus for the second time it was a mad dash and scramble … to sit on the bus again. And then the call came and we were on the plane. Then the engines fired up and we were taxiing. Half an hour later we were the first of only 5 or 6 flights that got in that day and, not only that, all our bags were there too. We popped round to see Dawa Phutti and Ang Pasang at Paradise Lodge where we had a much need brunch before hitting the trail after I’d briefed the group about a few dos and don’ts and how life would be on the trail. We were aiming for Monjo but the late arrival in to Lukla meant that we were still a bit short when I felt it was time to stop. We’d popped in to see Sonam Sherpa for a coke and chocolate bar (I’d met Phendan at Lukla and he’d phoned ahead) but even though we were full of energy I felt it would be unfair on the porters for us to continue in to the dark. Having spent a night at Tok Tok (what a great name) we were one of the first teams through the National Park Entrance because we were half an hour ahead of the trekkers at Phak Ding. We had tea with Pasang Dawa in Monjo and then headed gradually up the zig zags to Namche. After lunch, WiFi, coffee & doughnuts in Namche we continued another hour along the trail to stay with my long standing friend Tashi at Ama Dablam Lodge. In between our 2 night stay at Tashi’s we mooched up to the Mong La via an amazing hidden staircase to gain a bit of altitude for a couple of hours before returning to Kyanjuma. After getting back to Tashi’s she allowed us to see her private prayer room which is always such an amazing privilege. The next morning we bade Tashi farewell and she gave us some Kharta scarves as a blessing for our onward journey and we trekked up to Khumjung where we said a temporary goodbye to Loraine and John (aka my Dad). They were off to visit the Everest View Hotel before heading back to Tashi’s and then their itinerary was to take them very gradually up the Gokyo valley. In theory we will all be reunited tomorrow! My trusty Everest wannabes and I went up and over the col to Syangboche where we stopped for tea before pressing on via Thamo (lunch) to Thame where we stayed with my friends Dr Kami and his wife Da Dolma. They have a new addition to the family and are truly delighted to have a grandson (their son married the daughter of my Sirdar, Kame Nuru Sherpa, just over two years ago). We stopped at Thame for 2 nights and visited the monastery in the hillside above the village for a private puja and, with more Kharta adorning our shoulders we said goodbye to Thame continued to Marylung to stay with some more friends of mine. Sadly Ang Chutin wasn’t present but I was delighted to hear that, following my advice that she contact a friend of mine in KTM who organises running events, she has competed in a variety of different races. One was a 60km trail run up and over various passes and she completed it in 9 hours coming in as fastest female. Presently she is studying in Germany and is set to run the Berlin marathon in the not too distant future. I’m now wondering about getting her across to the UK for a week or so in summer to have a go at The Bob Graham Round – but I’ll have to sound her out about that when I get back home in June. Phurba Sherpa runs the teahouse in Marylung with his wife and they are an amazingly cheerful and resilient couple. Phurba has summited Everest 8 times (once from The North) and was obviously very saddened by the events last year. Not only the disaster that befell the 16 Climbing Sherpas who died but also the way the whole event then unfolded and the ominous twists and turns the tragedy took. Their eldest daughter turned up (she’s a teacher at Namche with perfect English) and we chatted away for hours. Another departure and another Kharta brought us to where we are now. Poised at 4,350m below a 5,350m pass which will give us access to the Gokyo Valley where, all being well, we will meet up with the 2 trekkers we last saw in Khumjung. We went up and over the Renjo La and the conditions were perfect. An early start meant that the mud and, higher up, snow were crisp and easy going underfoot. The view from the pass was absolutely fantastic and we dropped down to Gokyo in time for lunch. John & Loraine arrived mid afternoon from Machermo so we were all reunited and caught up on each other’s gossip. The WiFi wasn’t working, hence not sending the update as planned. Today John (aka my Dad) dropped down to Machermo to break the journey to Phortse which we will be making tomorrow. All the others went to various altitudes on Gokyo Ri and I mooched off to do a panorama. The WiFi has just come on and naturally enough is pretty slow because everyone, myself included, has started catching up with the outside world. What does it take to summit Everest? Here are 7 attribute to consider. Elsewhere I have covered the reasons why people fail on Everest but this article is about what you need to consider to even contemplate attempting it. There are seven keys elements that people require no matter which side of the mountain they are on, no matter which expedition they are with. These attributes have nothing to do with how much the expedition has cost, whether you are rich or poor, male or female. Altitude is the invisible enemy and it doesn’t differentiate. There is little point, if any, in attempting Everest unless you really, really want to do it. This should not be a whim of the moment decision. It’s not back of a fag packet type stuff*. It’s also not something that is on everybody’s bucket list and you don’t necessarily have to justify to anyone, except yourself, why you want to do it. You may not be able to vocalise how you feel about it. It may well just be something that, for whatever reason, ‘flicks your switch’. But if you don’t have that yearning to attempt Everest then there is little point in setting out on it in the first place. However … are you being realistic? * Warning – smoking kills and is extremely bad for your health. Please do not take this an endorsement to start, or continue, smoking. Alternatively you could jot your idea down on the back of a beer mat**. ** Please note that drinking, even in moderation, can also be bad for your health. Perhaps best to just use a note book after all. It’s all very well having the desire but is it realistic for you to be undertaking this massive challenge? Do you have what it takes? Should you perhaps be making it a 5 year plan to enable you to get the necessary pre requisite experience and enough time to save the money? Should you maybe have a think about it rather than making a knee jerk reaction having been inspired by a book that you have just read, a film you’ve just watched or a slide show you have just attended? Having the desire is all very well but there are many things that we desire in life that we know won’t happen … unless we do something about it. And even then it may well be that the desire is completely unrealistic and even if you do try and do something about it it may well not transpire. Don’t believe the public keynote speaker who uttered the ‘if you put your mind to it you can do anything’ line – that is utter rubbish. Have you ever noticed that this is a classic line that is banded around by people who have just done something? Yes you need to put your mind to it but don’t assume that you will achieve your ambition just because you want to have a go. You can’t just do anything that pops in to your head … or we would all be able to fly, see through walls, run a sub 3 marathon or teleport. So perhaps you need to park the idea? Or conversely you need to focus your energy in to getting prepared … as long as it is something that is actually realistic and potentially achievable. Preferably years and years of it. If you are naturally tuned in to the outdoor recreation environment due to the frequency, quantity and quality of your experiences then life on Everest will be a lot easier for you to tolerate. You shouldn’t have to think about whether your hood should be up or down, whether you are too hot or too cold, when to drink, where your gloves are or how the toggles work on your jacket. You should be able to anticipate environmental changes in advance rather than having to deal with them at the time. Preempting the fact that the sun is coming up, and in a quarter of an hour it’s going to be quite hot, has got to be better when you are stood in a safe place … rather than finding that you are boiling hot and needing to shed layers in a dangerous place fifteen minutes later. See the list of skills required elsewhere. With years and years of experience and lots of expeditions under her belt Jen was very much in her element. Here she is approaching The South Summit. Shortly after this photo she stopped to change her oxygen bottle over and apply sunglasses and sun cream. She had gone a few minutes longer than she would normally after the sun comes up to allow her to get past a queue – but that was a sound decision on the day. It’s all very well having a great resumé but be honest with yourself – are you an independent mountaineer in your own right or have you been guided on every trip and climb you have ever been on? In essence, if you have an extensive mountaineering cv but have solely been guided, this is not too much of a problem as long as you then sign up for a trip that has the correct level of guidance to cater for the shortfall. Irrespective of that you still have to ask yourself whether you will ever end up in a situation where you are no longer guided (for whatever reason), high on the mountain and whether the implication of that terrifies you (it should do). Don’t bury your head in the sand and say that ‘it won’t happen to me’ because when it does and you are high on the mountain and alone you will feel very helpless and very lonely. It’s obviously not ideal but you should be able to cope in this situation. Better to have a whole host of skills and a thorough understanding of the natural and ever changing environment, and how to adapt to it, than to be a potential liability to yourself and therefore a potential liability to everyone around you – including people on other expeditions. Knowing instinctively how to change your walking gait from one type of snow to another means that you won’t compromise yourself when the conditions underfoot change. Having a sixth sense about the weather, conditions, snow etc will mean that you are far less likely to jeopardise yourself and being tuned in will also make it a far more enjoyable experience as well. Knowing that your helmet should be on your head not your rucksack, knowing your routines and having faultless personal admin will all be very relevant when you are high on the hill. I’ve said it before and I’ll say it again … this guy should not have been on Everest. Crampons on the wrong feet, a helmet on his rucksack instead of his head and a few useless quick draws on his harness. He didn’t even operate his jumar at each rebelay and his Climbing Sherpa had to do it for him. He was a liability to himself … and to everyone around him. on what needs doing and when to do it. This applies to your years of training, your gear purchases, knowing your equipment intimately, your choice of operator and your own personal commitment. You need to focus on each and every aspect, and leave no stone unturned, whether it be research and preparation for the mountain, your fitness and gaining relevant experience prior to the expedition, or focusing on what is relevant at the right moment during the trip. It’s really important to prioritise and realise that the consequences of your actions, or inactions, may have far reaching consequences. What would be considered to be small issues on lesser peaks become compounded issues on Everest. On lower peaks the fact that you haven’t applied or reapplied suncream may have little if any consequence. On Everest, due to the higher elevation and the rarified atmosphere you will frazzle and become sunburnt which is extremely debilitating. In the UK you can perhaps get away without drinking for the whole day (with the intention of topping up when you get home). On Everest you won’t be able to get enough fluids to be sufficiently rehydrated if you go in to deficit. A little bit of dehydration on a daily basis will become a massive problem at the end of a 7 or 8 week period and you will be not only debilitated but also much more prone to the effects of high altitude, more susceptible to frostbite and hypothermia as well as having reduced efficiency and depleted brain function. Look at your expedition as a long term project. It requires lots of preparation and it needs to be conducted in a manner where you are constantly reevaluating the situation. Do your due diligence not only of the company that you are going to sign up with but of yourself as well. Giles at the top of The Geneva Spur en route to the summit. A few days earlier he had contemplated going home. Thankfully he was able to refocus his energies and turned his feelings of despondency in to drive and determination. You need this by the pound. There will be moments of self doubt. There will be the days when you just don’t perform how you hoped. There will be the off days when you should be firing on all cylinders. There will be the days when you are missing your friends and family and questioning this crazy endeavour. And combined with all that … you will have a headache at some stage, possibly a bout of diarrhoea, your lips may well have cracked because you weren’t looking after yourself, you can’t sleep properly at night because of sleep apnoea, it’s cold and you pee all the time and you will go off your food. Perversely, just when you are burning more energy than you have ever burnt before, you will lose your appetite and won’t be able to face a fork full. How on earth can you attempt to continue unless you have mental tenacity by the bucket load? However, you must temper your resilience with a deep respect for the environment around you and also listen to the inner you. If it doesn’t feel right then that 6th sense of yours may well be worth listening to. If you continue because your are tough and resilient, whilst ignoring the very obvious changes that are happening around you, then your mental tenacity may well get you in to trouble. Mental tenacity has to be balanced with a respect for the conditions around you and a certain feeling of vulnerability. This is a slightly different psychological requirement. Being tough and mentally resilient is one thing but you will need to be able to keep on going, despite how awful you feel, in spite of how lonely you might be, no matter how ‘out there’ and vulnerable you may feel. You have to put all that to one side and put one foot in front of the other … incredibly slowly … believing all the way that you have what it takes. Again, as with mental tenacity, your self belief has to be tempered to the surroundings, and any changes that may be occurring, or it may well get you in to a pickle. Put it all together and you may, just may, get to the summit. So there you have it – a variety of key traits that you need to have a chance of being successful on Everest. But remember – just because you have the ambition, the drive, the focus and all the other necessary prerequisites doesn’t actually mean that you will achieve your target. No matter which expedition you sign up for, no matter how much preparation you have done, no matter how good your Climbing Sherpa is you have to remember that only you can put one foot in front of the other – it can’t be done for you. Time to get out on the hill. (For further related reading have a look at the suggested Skills Required and Why People Don’t Summit). Proposal for poo bags to be used on Ama Dablam as standard policy (first published Dec 2013 but updated with extra Everest information). This was first published back in December 2013. Given the recent attention that the media has given Everest regarding garbage and poo I thought it relevant to add a little extra information which I have appended. For my next Ama Dablam expedition I will be issuing everyone with biodegradable poo bags. They don’t weigh much but their use will be so beneficial to everyone – not only my team but other teams who are on the mountain as well. Presently there is no policy about human waste on Ama Dablam and it is a problem. Not only is it unpleasant but potentially there are health issues. I am sure that someone on some team undoubtedly gets ill every season … and that then jeopardises their summit bid and the health and well being of the rest of their team. It is standard practice on Denali and at Yosemite to bag it up and bag it out and because that is how it is then everyone does it. On Everest, Cho Oyu, Manaslu, Baruntse etc the high camps are on glaciated areas so digging a toilet pit is easy and when it’s there then people use it. If it gets full, or unpleasant, then it can be filled in and another one can be dug out. But on Ama Dablam the camps are on rocky platforms and toilet pits can’t be excavated. And although a team may allocate a ‘toilet area’ it would be difficult to convey this to other teams and so the result is that people go anywhere they choose. Which means that everyone is living around everyone else’s excrement … which is just plain filthy. So I am hoping to shift this from being the accepted norm and hoping that everyone will adopt a cleaner policy of poohing in a bag … and then discarding it. Unfortunately carrying poo bags off the mountain probably won’t work as well as it might on, say, Denali, because the onus may well start to fall on the Climbing Sherpas and it would be utterly degrading for that to be one of their responsibilities on the hill. They already take on the roll of clearing the hill of tents, pots, pans etc as well as bringing down gear that clients have left up there. To ask them to also be bringing down human waste would be totally unacceptable. In The Alps no one has a problem with the fact that there might be a long drop at a hut that is sending waste down a rocky face or in to a bergshrund – they accept that that is how it is and the logistics of trying to get soil pipes installed just isn’t feasible. Admittedly there are some huts where composting toilets are installed and are working to great effect but they are usually more accessible huts that have a suitable area for such a 21st century approach. So my proposal for Ama Dablam is that anyone at Camp 1 or Camp 2 should crap in a biodegradable bag and toss the bag and its contents down the West face. That way all the waste is going in the same place, it will undoubtedly get scattered as it falls down the face and will subsequently rot down to nothing. I’d like this proposal to be circulated before I approach the main companies who also take expeditions to Ama Dablam so that I can be speaking on behalf of lots of you rather than just trying to shout in to the wind. I made this proposal after my last expedition at The Ministry of Tourism and quite frankly it fell on deaf ears. I think that they saw it as a difficult policy to implement and to police. But it doesn’t need policing if it just becomes the accepted method. So please ‘like’, ‘share’ and ‘comment’ so that this becomes de rigueur and the experience for future people on Ama Dablam becomes a cleaner experience. As ever the news prior to the upcoming Everest season is reaching fever pitch with reports about this, that and the other. There is a great deal of speculation and the journos are having a field day with their factually incorrect and misguided comments. But the one thing that has reared it’s head in the last week is that of garbage and faeces on Everest. I could send you a photo that shows the mountain in pristine condition and I could equally change the angle, gather some rubbish and show you how disgracefully polluted it is. Yes there is some rubbish but it is not nearly as bad as the tabloids are making out. As for the pooh … well at Base Camp everyone uses a barrel with a heavy duty bag in it and the bag is removed every few days. On the mountain we generally go in discreet spots away from our and other people’s tents (our expedition digs a dedicated loo area at C1 and we use a toilet tent over a small crack in the ice at C2) and quite frankly when you multiply the number of people by the number of trips on the hill to the various camps by the amount that they produce it really only amounts to a few kilos per expedition which will, in reality, very quickly desiccate and / or self compost away. Anyway this is just a reminder of the fact that I proposed a poo bag solution for Ama Dablam over a year ago and guess what? That’s right … in 2015 we were the only team to really give it a go (if you’ll excuse the pun). I spoke with the Ministry of Tourism in December 2013 and voiced my concerns and they were not in the least bit interested. Indeed they actually found it abhorrent to even talk about the subject of human waste. So why then have they recently started voicing their concerns? I suspect that it is their way of avoiding the more pressing issues of whether they have decided that permits from Everest 2014 are for individuals or groups and whether they are transferrable so that the client can decide who they go back with. It is also yet to be seen whether they will be introducing the security measures that they talked about in 2013 … that didn’t transpire in 2014. Just a quick post to say that I’ve dropped a 5 min 30 sec video on to YouTube featuring myself and Adam Booth chilling at The South Col.
We were having a great time and this little feature hopefully gives you an insight in to what it can be like waiting for a summit bid and one of the world’s highest camps. Not only do you need lots of prior experience, loads of self belief, strong Climbing Sherpas, oodles of oxygen and plenty of emergency high altitude medication but you also need … chopped ham! Ama Dablam 360° panorama – the mountain as you have never seen it before. So here it is … the latest mountain panorama this time featuring Ama Dablam. Unfortunately due to some objective danger at the right end of The Dablam we were unable to get anyone on the summit last season, so the summit panorama will have to wait until next November. But hopefully this panorama, taken at around 5,000m from the ridge above Base Camp, will still give you a good idea about just what an amazing mountain it is and what an incredible setting it is in. Have a look at the interactive high resolution Ama Dablam 360° vista. For more of my work there are some 360° panoramas on my website. A big thank you to Thomas Worbs from the Mountain Panoramas website for the stitching, and to Gerald Blondy from Bushman Panoramics for the Gobi panoramic head and tripod. And don’t forget that you can follow the next Everest Expedition on FaceBook (EverestExpedition) and Twitter (@timmosedale) where we will be posting snippets of information and photos along the way. Here it is … the latest of my interactive 360° panoramas. This is from the summit of Island Peak. Interactive mountain panoramas coming to a smartphone in your pocket. Well it’s been a while but a) I have been away and b) since getting back I have been ill.
I’ll write an Ama Dablam round up on another occasion but this time I’m just pointing you to a new page on my Everest website where I have compiled all my interactive panoramas. 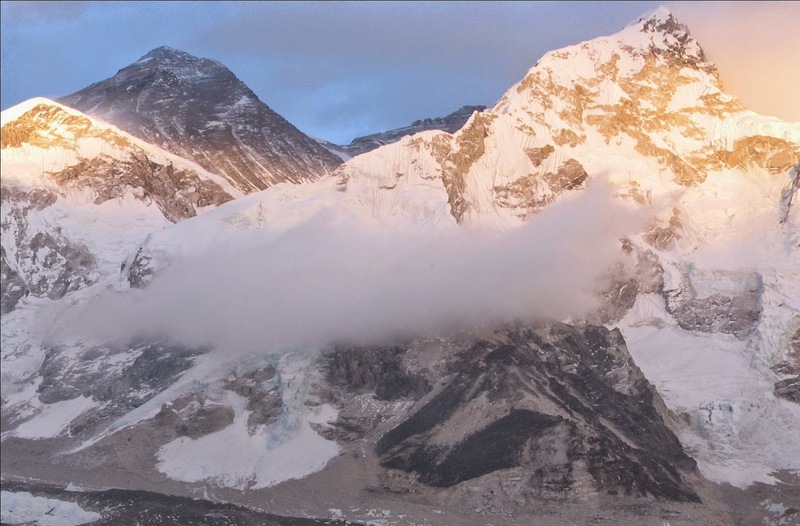 There’s a selection of panoramas taken in the Everest region and they are all now available on this page. If you view them on a laptop / desktop then you can get them to autorotate, turn the labels on or off and zooooom right in. There is soooo much detail it is quite stunning … even though I say so myself. On a smartphone or tablet you can either use the touch screen to scroll around or, best of the lot, just point it up, down, left or reght and it will show you what is up, down left or right. Incredible! This has been done in conjunction with the maestro of photographic stitching software – Thomas Worbs. He runs his own website at www.mountainpanoramas.com and he also has a FaceBook page – https://www.facebook.com/mountainpanoramas. In all he has a 1,000+ panoramas and growing. Why not give him a visit and a ‘like’ and you’ll receive notification of any new posts. In the meantime I hope that you enjoy the show. Click here to jump to the Kala Pattar panorama. In the first of this 2 part article I looked at success rates, fatality rates and the implications of going with the wrong team. In this article I am now looking at what the 2014 tragedy may mean for the 2015 season. The tragedy on Everest in 2014 led to the South side effectively being closed. There was a lot of confusion about whether Climbing Sherpas were willing to continue working, whether they feared to step foot in The Khumbu Icefall, or whether they feared that there might be repercussions because of threats from the militant Sherpas who were holding the government, the Westerners, and therefore the mountain, to ransom. This article is not about the tragedy, the cause or the aftermath; it is not about the morality of having Climbing Sherpas working for teams on Everest; and it is not about the working relationship between companies, their staff and their ‘rich’ Western clients (although I do touch on this briefly). This is about the implications for the forthcoming season(s) on Everest and what the future might hold for an entire community who are so reliant on trekking and expeditions as their major source of income. · and lastly there is the possibility of helicopter evacuation of a sick or injured climber / Sherpa out of The Western Cwm to Kathmandu. The North side Base Camp is typically reached by jeep, which makes it harder to acclimatise to the rarefied atmosphere, but it also means that it is cheaper to supply logistically (tonnes of food can be brought in by truck instead of employing teams of porters to carry loads from the airfield at Lukla to the Nepalese Base Camp which is a 10 to 12 day round trip). To that end the North side has the advantage of being cheaper (partly because of the cheaper climbing permit and partly because of the cheaper logistics) and the North side doesn’t have the objective danger posed by the, now infamous, Khumbu Icefall in which 16 Climbing Sherpas lost their lives on 18th April 2014. Being cheaper does have its drawbacks though as you tend to get some people there who are going purely based on price rather than having done their research and due diligence. Despite assurances from the Ministry of Tourism that expedition permits would be carried forward and be valid for 5 years it would appear that only the permit, and not the individual places, will actually be credited against expeditions in the near future. (This is still subject to clarification but it would seem to be the case). By playing with words the Ministry of Tourism have managed to wangle their way out of a commitment that everyone believed was in place as they departed Base Camp empty handed at the end of last season. This emergency measure was put in place to appease the expedition members, leaders, Sirdars and Climbing Sherpas and was supposed to go some way towards smoothing things over. The fact that things had already gotten well out of control due to their inaction in the first place is another matter – but suffice to say that a letter was produced showing a commitment to carry forward the permits for the next 5 years. Understandably there were those of us who were sceptical at the time but carrying on had become an untenable situation. The fact that a lady summited the mountain with helicopter support up to C2 and evacuation back again from The Western Cwm does not mean that the mountain had always been open – which is what the MoT are trying to say as a justification for why they have changed their tune. The Sherpas were representing their concerns to the government regarding, amongst other things, insurance payouts and the future welfare of the families that are left behind. Meanwhile the Western companies were representing their concerns to the Ministry of Tourism to try and make sure that they (The Climbing Sherpas) don’t die in the first place. Due to the dynamic nature of the Khumbu Icefall it is almost impossible to create a health and safety document or do an in depth risk assessment, but that is what we are endeavouring to put forward. We are looking at better protocols for fixing ropes and ladders as well as better training for the Icefall Doctors and Climbing Sherpas alike. The use of helicopters is being proposed for taking essential freight to C2 at the beginning of the season to minimise the loads that need to be carried, and therefore reduce the journeys that are made through the Khumbu Icefall. And we are looking to be allowed to store freight at Camp 2 between seasons – again to minimise the journeys that have to be made through the icefall at the beginning and end of each season. Perversely the Sherpas are concerned that these last two measures will mean less work for them and therefore less pay. Obviously there were the angry voices out there (mainly non-mountaineers and office or couch bound self-proclaimed aficionados on all matters relating to Everest) who claimed that the fallout had been a long time coming and that this was payback time for the years of abuse and lack of respect that we had given our Climbing Sherpas. This is simply not true and, indeed, anyone who has trekked or been on expedition with the Climbing Sherpas will have come away with a profound respect for them and have been humbled in their presence. Many people are so taken with the whole life changing experience that they sponsor Sherpa children through boarding school or stay connected with their Sherpas for life. And then there was the matter of wealth and fatness that was brought in to the fray. How anyone decides to spend their well earned ££s is entirely their business. Please don’t cycle in to work on your £3.5k+ roadbike and preach from your £2k+ MacBook Pro 15″ with Retina Display about how anyone else can spend their money. And as far as clients being fat / unfit / technically inept … well admittedly there will always be those there who shouldn’t be there (why were they accepted by their company?) but generally speaking most clients on Everest have been not only saving for years but also training for years and have many expeditions under their collective harnesses. By all means remind me of the David Sharp (North side, solo, no Sherpa, no radio, Asian Trekking client) and Shriya Shah-Klorfine (South side, very little oxygen, inexperienced, poor Sherpa support, Utmost Adventure client) type clients and I will hand you a list as long as your arm of people who summited in great style who were experienced climbers and approached the mountain with due caution and due diligence. And in a sense I will also agree with you about the Sharp’s and Shriya’s of the world – they should not have been there; or should have been trained and mentored and looked after better; or perhaps advised to either not come at all; or perhaps come in a few years’ time. But they are a fact of life that gives Everest a really bad name. Anyone in their right mind who wanted to do anything remotely risky would probably get themselves trained to the appropriate level. A person who wanted to do freefall parachute jumps would probably start with static line, progress to tandem and then on to freefall. A wannabe scuba diver would do a PADI* course and build up their log book experience before committing to a complex wreck dive at 45m. Indeed even with less risky activities lessons and experience count for a lot – from driving a car to riding a horse, from learning the piano to flying a plane. Mountain biking, rock climbing, kayaking, being a doctor, speaking a foreign language – years of experience is the key. (*it should be pointed out that other branded courses are also available). So why is it that there is a perception that you can just turn up and have a go on Everest? The fact that some chap, who was apparently a non-climber, did it one year doesn’t mean that other non-climbers can do it in the future. Maybe he had actually done more training than he admitted to. Perhaps he was naturally predisposed to being good at altitude. Maybe he was with a very good outfit and had plenty of oxygen and lots of support. Maybe the weather was great or, indeed, perhaps he was just plain lucky. But whatever you do don’t then assume that you can sign up with a crap company, with little or no experience, with little or no oxygen and attempt to get to the summit – because you can’t do that without endangering your life and the lives of everyone around you. And that includes endangering people from other teams (because of your suspect practices and lack of competence) or endangering the lives of the Climbing Sherpas who may well be coming to try and help you down. Any skills that are required to attempt Everest should be part of your muscle memory and, in a sense, shouldn’t require much in the way of thought processes. Adapting to the ever changing weather, environment and conditions should come naturally from years and years of experience on other hills and mountains. So let’s look in to the crystal ball and see what is going to happen next season. It’s obviously impossible because of the variables to be clear and concise about what will and what won’t happen; what will be in place and whether it will make a difference; how the conditions on the mountain will affect the general situation etc etc. Some future clients will be concerned that there may be a repeat closure on the South side and that no refunds will be given. So what does the future hold for Everest? As mentioned earlier it would appear that when a permit is cashed in then it is cashed in and individual places will not then be carried forward. Some of the 2014 clients will undoubtedly not come back – their time was 2014 and they have had their chance to climb (or not as the case may be) and have gone home empty handed, never to return. The majority, I suspect, will see Everest as unfinished business and will be back in the future. Whether 2015 will be an option partly depends on whether their team permit is being cashed in and their ability to justify the expense (and get time off work) so soon – as well as the gamble and hope that the next season won’t be interrupted. If it is the case that when a permit is cashed in then it’s cashed in then maybe some 2014 clients will feel impelled to try again in 2015 because they don’t want to lose out on the US$10,000 credit note. Others, who cannot raise the funds that quickly, are going to have to accept that they will have to start all over again. Busier North side, roughly the same numbers, or quieter, for the South side. Due to the problems with the mountain closure in 2014 there may well be a migration of clients to The North who would otherwise have gone South. Their time is 2015 and they have everything lined up for that season and for whatever reason(s) would not want to delay another year – but they may hedge their bets by going North to avoid the scandalous situation that occurred in 2014. To that end there may be hugely reduced numbers for the South (some going North – some not coming in 2015 as they had originally hoped) being joined by a number of people who were there this year cashing in their peak permit credit note. Result – Bearing in mind that the North side summit day is so much more hazardous than the South summit day there will inevitably be far more deaths on the North side as a result of increased numbers. Again there may be a migration of some potential Southerners to the North side as well as a lot of people from 2014 returning for unfinished business on the South side. Depending on who goes where it may well be the case that both North and South will be busier as a result. Result – more deaths on both sides (more so North) but potentially record numbers summiting as well. Expect long queues … depending on weather windows. Some people put off all together. Result – a standard season (although, again, possibly a bit busier on the North side). Again there may be a migration of some potential Southerners to the North side as well as an interrupted season on The South. The militant faction of Climbing Sherpas (who, incidentally, were from outside The Khumbu) may try and stir things up again. This would be financial suicide for the South side because the 2016 season, and beyond, will dry up as a result. The Khumbu is hugely dependent not only on the seasonal trekkers but also the expeditions for April and May (as well as the Oct / Nov season – but teams don’t tend to do Everest post monsoon). The Khumbu community have never really been politicised because there’s always been a steady flow of income from trekkers and expeditions and as a result have never had any Maoist tendencies. But when they were listening to the politically motivated shop steward types, and cheering for them, they were in effect voting for these people to be their (self-appointed) spokesmen. They (The Khumbu Climbing Sherpas) are probably regretting that decision ever since because they have kids in boarding schools in Kathmandu, they have loans on teahouses, they have bills to pay and they didn’t get their full pay for the season and they didn’t get their summit bonuses. Business is business and it’s open as usual. Whilst trekking out this year it was patently obvious that most of the lodge owners (many of whom have previously summited Everest) were very concerned about the repercussions for future seasons in The Khumbu. Unlike the militant Sherpas who stirred the whole crazy mess up in the first place they are businessmen and businesswomen who understand their demographic. Without trekkers and mountaineers there will be insufficient funds coming in to the region to support the various strings of the local economy. The region is already over-subscribed with teahouses and, as mentioned already, many Sherpas have children who are at boarding schools in Kathmandu. The local economy has been rocked by the early departure of teams this year and if it happens again the consequences will be very far reaching. Never mind the US$3 million or so that the Ministry of Tourism collects in peak permits – that is nothing compared to the in excess of US$12 million that pours in to the region during the Spring season as a result of trekkers and Everest expeditions. Even the porters from outside the region are spending almost half of their daily pay to live in The Khumbu. This is basic economics and everyone will suffer if there is a problem – from the vegetable seller in Namche Bazaar to the teahouse owner in Dingboche, from the person who sells NCell mobile top up cards to the bakery owner in Pangboche they are all hoping for a trouble free season. To that end I think it is very unlikely that the 2015 season will be interrupted and, if it is, then I imagine that the course of events will not result in closure as happened this season. Am I being too hard on this chap who wants to climb Everest? It’s only a rich man that buys a cheap suit. 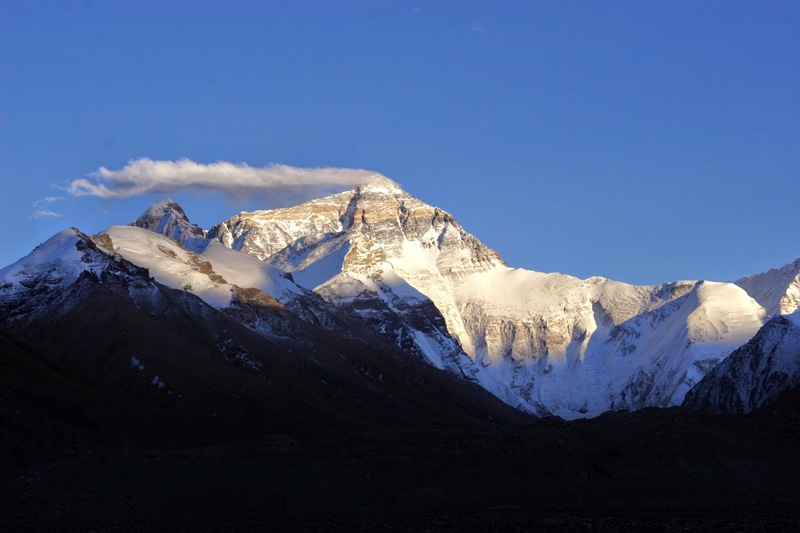 Pitfalls to avoid and why people don’t summit Mt Everest. And lastly, for more information about what skills are required then have a look at this page of suggestions as well as some notes on how to use jumars on fixed ropes. The top camp is at 8,300m and summit day involves a long period of time well above 8,500m. Any problems encountered on the summit day ridge involve retracing technical terrain at ultra high altitude. The South Col (just left of centre) is slightly below 8,000m and whilst summit day involves more ascent than on the North side it is easier to descend to lower elevations and rescue is a distinct possibility. In the first of a 2 part series about Everest I am initially looking at the success rates, fatality rates (and possible reasons behind them) and the implications of going with the wrong expedition company. The follow on from this will be looking at what happened last season and how it may affect the next. Whilst it would be very tempting to strip out the cowboy operators, rogue groups and dodgy individuals from the statistics it would paint a skewed picture. The cheap operators with their dubious clients and debatable practices appear on both sides of the mountain – although more so on the North. They are there and it is a fact of life. To eliminate them from the statistical comparison would not eliminate them from being there and, in turn, being a hazard to everyone around them. In actual fact prior to the 2014 tragedy the Khumbu Icefall hadn’t been the demise of the huge numbers of climbers and Sherpas that it had the reputation of. In the last 30 years it accounted for 3 Sherpa fatalities when a section collapsed in 2006 – and apart from that has accounted for a handful more fatalities where people (Sherpa and Westerners) have fallen in to crevasses usually as a result of not being clipped in to the ropes that are there for safety purposes. In the great scheme of things Climbing Sherpas tend to die lower down on Everest whereas clients tend to die higher up. The figures aren’t quite cut and dried but can be roughly separated in to mistakes, avalanche and mishap lower down the mountain as opposed to lack of oxygen, exhaustion and AMS higher up. The data refers to AMS (Acute Mountain Sickness) as being one of the causes of death. I have made an assumption that in actual fact AMS is more likely to be HACE (High Altitude Cerebral Oedema) and / or HAPE (High Altitude Pulmonary Oedema). AMS is usually (but not always) a precursor to HACE and is often (but not always) a precursor to HAPE. HACE and HAPE can occur out of the blue, with no previous indications, although this is unusual because, generally speaking, critically ill people have usually displayed previous signs and symptoms (typically of advanced AMS). Where someone has HACE I would generally assume that they may well be susceptible to HAPE and vice versa. Arguably lack of oxygen may be the root cause of HACE, and perhaps HAPE is the reason behind the cases of exhaustion. It is difficult, given the conditions, remote setting and lack of proper medical opinion on the day, to separate these factors out. Either which way being at ultra high altitude complicates the issue and makes it very difficult to make a diagnostic analysis. On both sides of the mountain summit day accounts for most of the Western fatalities. When you then compare the two sides of the mountain the figures show distinctly that people are much more likely to summit on the South and are much more likely to die on the North. When you consider that many of the better equipped companies have got a 70% to 90% success rate it means that there are companies out there who have a lowly 0 to 15% success rate. This is very telling in that most people who died on summit day did so in descent having reached the summit – either later on summit day or at a high Camp whilst descending. It is obviously very difficult to ascertain whether someone had AMS or actually had HACE or HAPE; whether they were physically exhausted or, in actual fact, had the onset of HAPE which compromised their breathing and gave a perception of exhaustion; whether they were frostbitten as a result of a lack of (or not enough) oxygen; whether they fell on summit day as a result of bad judgement or due to hypoxia or perhaps frostbite; or disappeared as a result of an error (again possibly due to hypoxia). Sadly it would appear that a lot of the summit day fatalities might have been avoidable and that more oxygen and / or high altitude medication and / or a reliable Climbing Sherpa and / or better summit day protocols might have made a difference. What is certain from the figures, which seem to speak for themselves, is that the North side summit day is extremely hazardous when compared with the South side. What is also easy to see is the correlation between lack of oxygen and lack of success – with an estimated success rate of only 1 in 16 of those who try to summit without oxygen (this is the success rate of those who try without oxygen and does not indicate that 15 out of 16 without oxygen die trying). When you consider the 1 in 16 success rate is of people who are intentionally trying to summit without oxygen the rate is actually skewed even lower by the people who thought they were going to get oxygen when they signed up with their cheap as chips expedition … only to find that in actual fact oxygen wasn’t included and will cost another US$5,000. Oh, and a summit Sherpa isn’t included either and that will be another US$5,000. And of course because the client has signed up with a cheap trip because it was cheap, they don’t have the spare cash to have these extras that they thought would be included. And so they don’t summit. Unfortunately I can’t separate these clients out from the rest of the people who fail to summit but undoubtedly trying without oxygen, whether intentionally or not, is going to mean that success is much, much rarer. 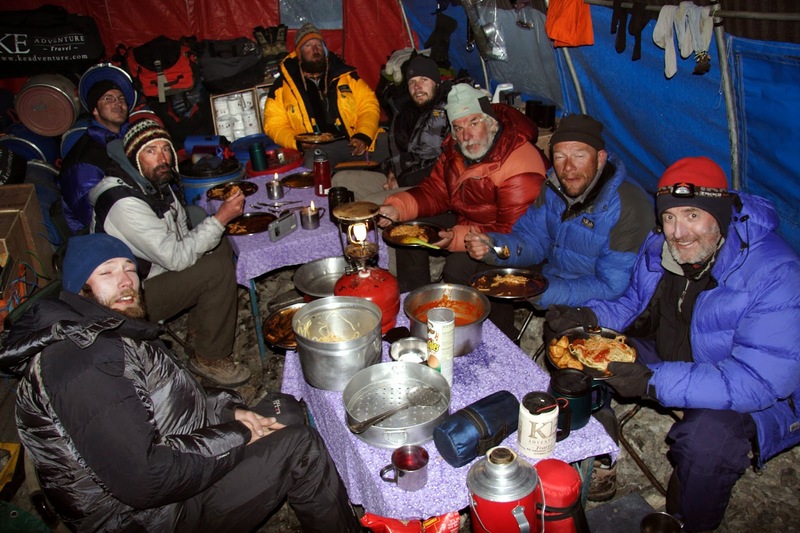 A group of highly (and I mean highly) experienced mountaineers – with in excess of 150 expeditions between us. Despite the plethora of experience only 3 of us (plus all 4 Climbing Sherpas) summited – a reflection of the difficulty of the North side living conditions and the route. The grey areas and the small print. I have done some research in to the data concerning Everest / members / Sherpas / companies / summits / fatalities / percentages etc and quite frankly it is very difficult to get to the bottom of some of it. Depending on which source you consult depends on the how much information you can glean. Some companies are very forthcoming with their figures (especially success rates) whereas others are not quite so frank (particularly regarding fatalities). · cheaper companies are sometimes not as forthcoming with their inclusions and exclusions as perhaps they ought to be and the client signs up thinking that they will be getting x, y and z. The reality is that they are only getting x and when they are at Base Camp they find out that y and z will cost extra. This latter case is in part down to the client not conducting their due diligence – they do their research (or not) and decide that even though people have died on previous expeditions there is the misguided belief that ‘it won’t happen to me.’ Or perhaps they don’t know what questions to ask and therefore don’t know whether the answers hold any substance. But it is also as a result of wooly conditions, vague clauses and small print and is, in some instances, completely immoral. As an example if a company claims ‘in 2012 we had 10 clients and we put 7 people on the summit’ does that imply a 70% success rate? On the face of it – yes it would appear so. Delve deeper and you find out that whilst they had 10 clients they actually put 4 clients and 3 Climbing Sherpas on the summit – a lowly 40% success rate. Another example might be ‘we have a 1:1 client to Sherpa ratio.’ Sounds great! But, again, scratch the surface, delve deeper and you come across a page where it says that a 1:1 summit Sherpa will cost an additional US$5,000. But I thought you said you had a 1:1 ratio? We do – but that is the ratio of our Sherpa staff to our clients and not our staffing ratio whilst we are working on the hill. Some of the ‘Sherpa staff’ are on Base Camp duties and the ‘Climbing Sherpa’ staff may well be down at C2 whilst you might be at The South Col – not a 1:1 summit day ratio. Or perhaps you and 4 other clients may share the services of 1 or 2 Climbing Sherpas on summit day – which in turn means that there is less oxygen available to all and sundry on summit day which means that everyone in the group is much more likely to suffer from frostbite and / or hypothermia and / or HACE and / or exhaustion and / or hypoxia as a result. The net effect? Fewer people on the summit and more people dying high on the hill. Talking of oxygen … I thought that you said it was available? Indeed it is available … if you pay a US$5,000 excess. Now a client who has already opted for a cheap expedition is not going to have an additional US$10,000 for oxygen and a 1:1 summit Sherpa – so they are either not going to summit or they are going to die trying. And who then picks up the pieces? The better equipped and more professional companies out there who are willing to donate Climbing Sherpas and oxygen to people from other teams who have been left high and dry, abandoned on the hill with little or no oxygen and no Climbing Sherpa(s). As an example this became very evident in 2013 when a Taiwanese climber was left to his own devices and pretty much abandoned at Camp 4 on Lhotse. Not only did a Western Guide and a Climbing Sherpa from our camp start providing assistance through the late afternoon and evening but a team of Climbing Sherpas was being readied for his evacuation the very next morning. This team of Sherpas was being assembled from our camp, Jagged Globe, IMG, Adventure Consultants, HIMEX and Peak Freaks to name but a few and they were ready to go out in the ultra early hours from Camp 2 to get to Lhotse Camp 4 to bring him down and get him readied for evacuation by helicopter. The team that the sick climber was with had a bunch of clients at The South Col but were unwilling to release any Climbing Sherpas to help out. His wife appeared in Kathmandu with US$20,000 for his evacuation but sadly he passed away in the very early hours. If he had paid, perhaps, US$10,000 more in the first place, and gone with a reputable company, then maybe he wouldn’t have got in to such an untenable situation in the first place. I wouldn’t mind but when one of my clients who summited Everest with me met a couple from the same team who had also reached the summit of Everest she was told that they had had a 100% success rate! ‘What about the Taiwanese guy?’ asked Ilina. ‘What about the Korean chap who died at The South Col?’ she asked. ‘Ah, but he was trying without oxygen,’ came the reply. Crampons on the wrong feet, quickdraws on his harness, a helmet on his rucksack and a Climbing Sherpa negotiating every rebelay for him. Why was this guy on Everest in the first place, who accepted him as part of their expedition and why wasn’t he being mentored by a Western leader? He was with a cheap outfit who probably just wanted to make up the numbers but, by inference, he was a liability to himself and therefore a liability to everyone around him. All deaths on Everest are tragic … particularly the avoidable ones. Any death on Everest is an absolute tragedy. There will be some people who succumb because of, say, a heart attack which if it hadn’t happened during the expedition would have maybe happened back home in a few months anyway. There will always be the very unfortunate incident where a loose rock or block of ice just happens to hit the unwary Sherpa or climber. But the deaths that are because of not clipping in to the ropes and falling off a ladder, or sliding down the Lhotse Face are, sadly, avoidable and shouldn’t happen (and perhaps one could say that they only had themselves to blame). The terrible incident this Spring should not have been on the magnitude that it was. As a result of a ladder breaking there were too many Climbing Sherpas congregated in one place for too long. In this instance I am definitely not saying that they only have themselves to blame because there was a sense of expectation and pressure that the Climbing Sherpas were under and to leave a load and descend back to BC is a difficult thing to do. Some of our Climbing Sherpas did just that and it saved their lives. But others will have had self imposed pressure about performing / getting the logistics in place / earning money and may well have compromised themselves as a result. This was certainly an isolated incident but one of such magnitude that it will undoubtedly be in the forefront of everyone’s minds when they are on the hill next Spring and for many seasons to come. I mentioned earlier about grey areas and small print and these can also be classed as immoral practices. By that I mean when someone dies because of a lack of enough (extra / spare) oxygen that they thought they would have, or they die because there was an insufficient Climbing Sherpa ratio that they were led to believe was being catered for, or they die because there was a lack of high altitude medication (or indeed no medication). Sadly, if these things had been available then maybe, just maybe, it would have made a difference. And this not only goes for clients but is equally true of when a Climbing Sherpa dies as a result of poor logistics, insufficient supplies or lack of adequate provision. Indeed all 3 of the above (oxygen, support and medication) are exactly what a sick or injured climber (Westerner or Climbing Sherpa – it makes no difference) needs … as soon as possible. Immediate access to lots of Os, high altitude medication and extra support are critical and will make the difference. As an example we (and other teams) have a very strict 1:1 Climbing Sherpa ratio for summit day, we carry oodles of oxygen, every client has a box of high meds (and everyone knows how to use them), we have a spare mask and regulator as well as having the whole operation overseen by vhf radio from Base Camp. Someone in an oxygen rich environment is overseeing the whole summit day process and monitoring where people are, how much oxygen they have, how well they are moving, what time they set off etc etc to get a feel for whether continuing is advisable. This is the approach that gives very good success rates and it also saves lives. But it also means that some unscrupulous people (clients and operators) seem to assume that they can go along on the cheap knowing full well that someone will help them out of the do doo. Not only is this completely immoral but it is unnecessarily risking the lives of other people around them. In the next article I will be looking at how the tragedy on Everest last Spring may affect attitudes and numbers on Everest next Spring. For more information about what skills are required then have a look at this page of suggestions as well as some notes on how to use jumars on fixed ropes.